You know what? I don’t usually play games on my phone or computer, but when I do, I would play puzzle games. 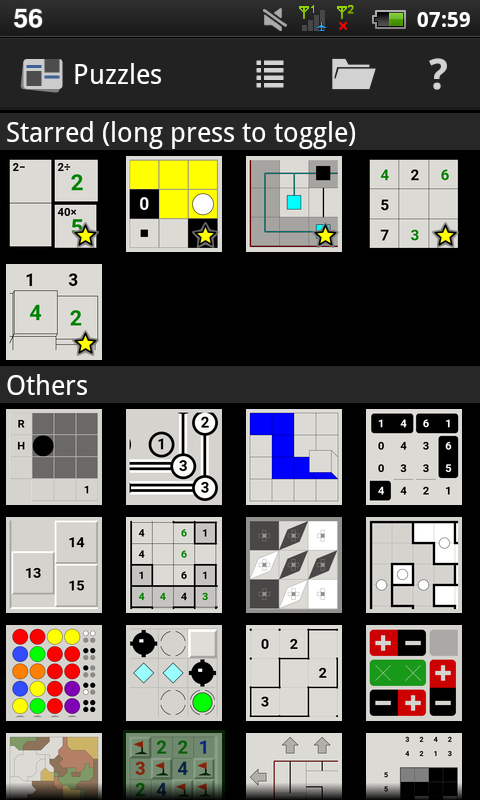 And these are 6 of my favorite puzzle games for Android. 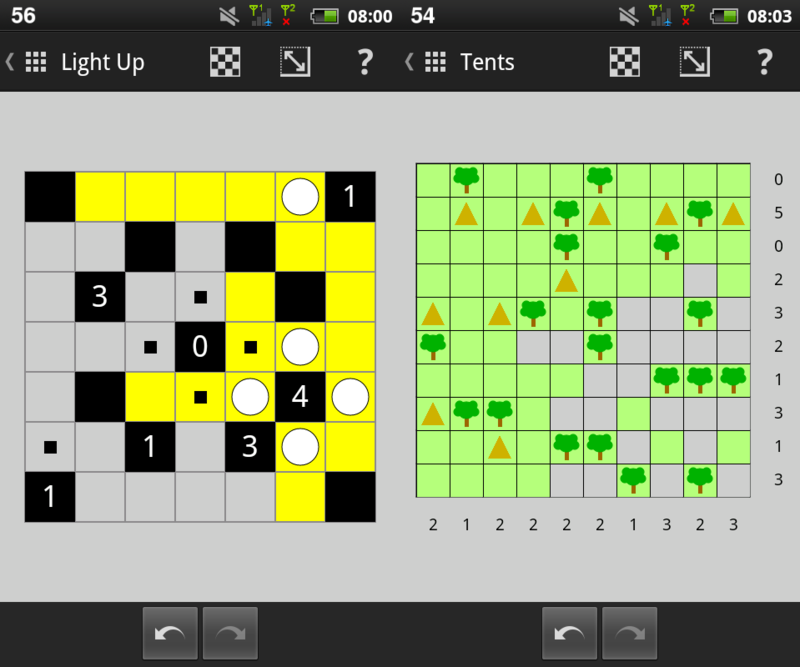 These puzzles are both light (less than 1 MB) in size and have simple gameplay. I’m sick of games that are huge, have flashy animations, needs internet connection, and has ads. All but two of these games are open-source, and were discovered on F-Droid repository. I don’t think that the game itself needs an explanation. I’ve been playing this game since I first got an Android phone 2 years ago. 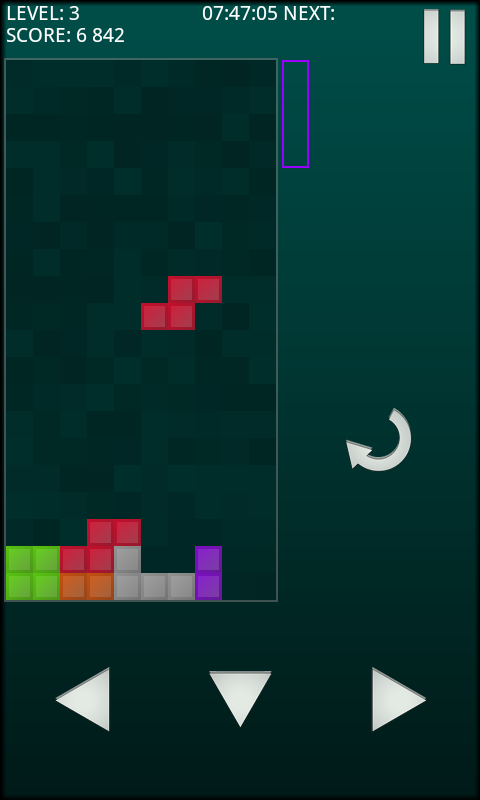 I think that compared to just any tetris games available for Android, even the official Tetris game, this version is the best.It has nice graphics and animations, looks great on both small and large screens, comfortable controls, has features like grids and ghosts, even scores and statistics. Unfortunately, this game has been long gone from the Play Store, but if you have installed 1Mobile market on your phone, you still can download it. I can’t find the apk version anywhere, but I’ve grabbed it from my phone’s /mnt/asec folder and uploaded it into Dropbox. This game is based on a mathematical puzzle, where you should move a stack of disks with different sizes along three rods with the rules 1) you only can move one disk at a time, and 2) you can’t stack a larger disk on top of a smaller one. 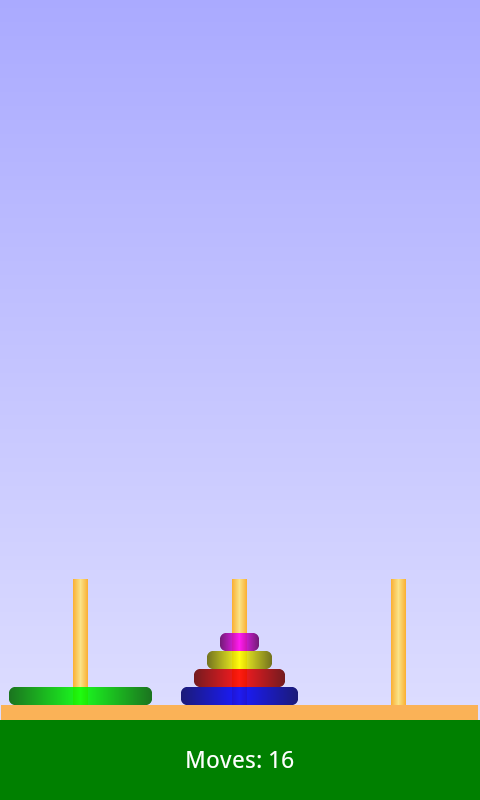 This is the simplest and smallest Tower of Hanoi game available for Android. It’s also the smallest game in this list. The only thing you can adjust in this game is the screen orientation (the game is better played in landscape mode) and the number of disks (from 3 to 10). The only downside from this game is that just like playing with a Rubik’s Cube, if you play it frequently enough, it gets easier and possibly less challenging. It’s still a great time-waster, though. You will notice many familiar games like Fifteen, Minesweeper, and Sudoku besides many games you possibly have never played, or have played on physical/paper-and-pencil form. Just like the desktop version, each game came with instructions, configurable levels, and the ability to load and save games. 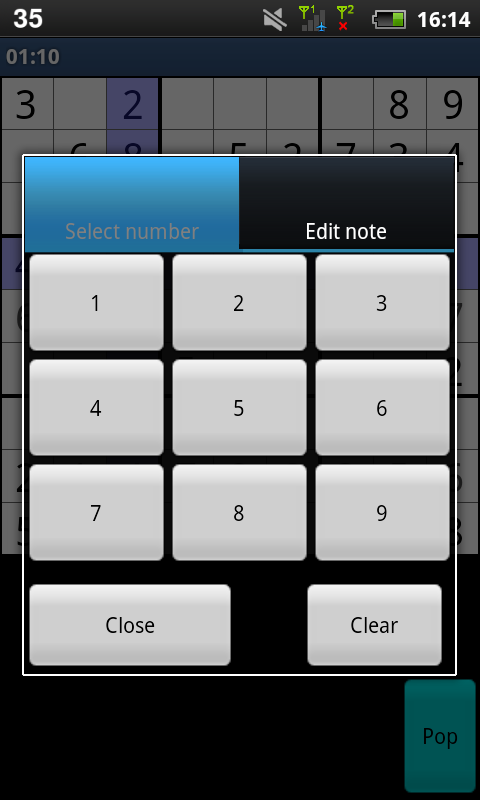 The problem with many Sudoku games for Android is to fit the playing grid and the input buttons on the same screen. It seems like they’re created with large screens in mind, which makes the screen consists of 50% grid and 50% input buttons. This makes the grid (especially the pencil marks) too small to see on my 3.15″ phone, thus rendering the game unplayable. 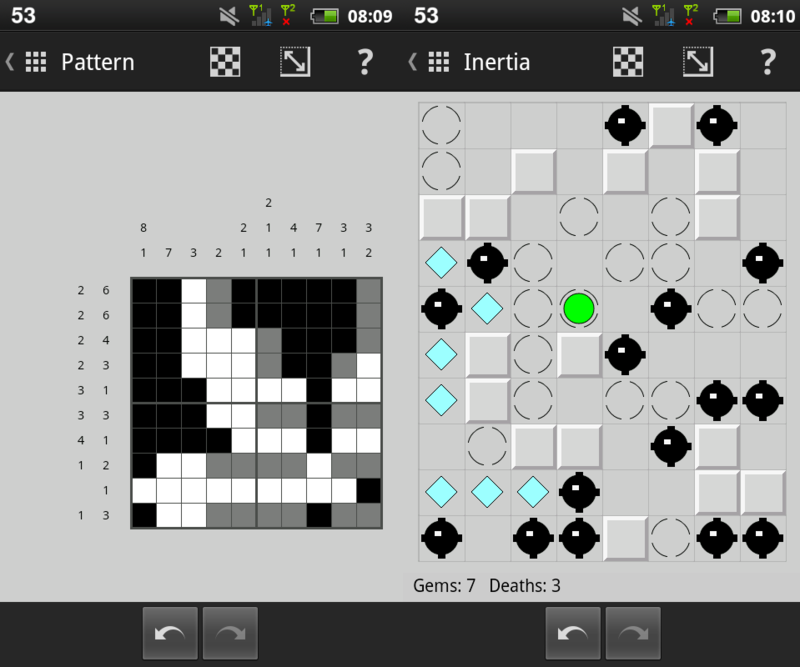 OpenSudoku fixes this problem by dedicating most of the screen for the grid and uses pop-up buttons as one of its three input types, making it comfortable to play on both large and small screens. OpenSudoku came with 90 games in three levels. If you want more, you can download and import more games from its Google Code page. 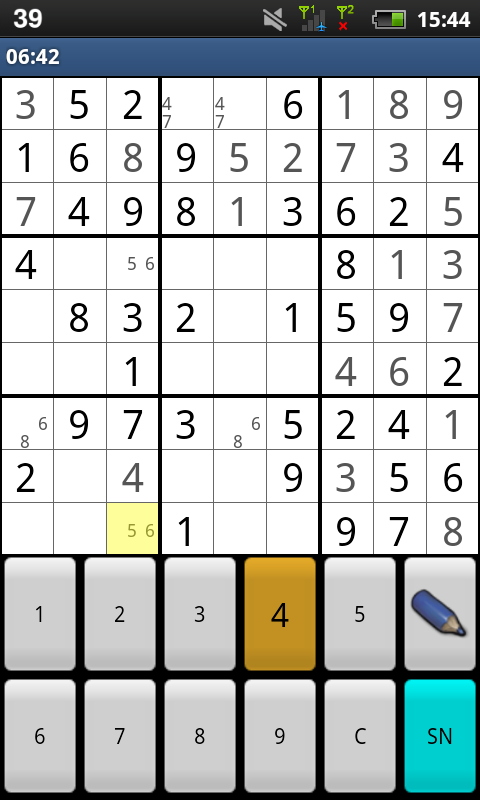 The only missing feature from OpenSudoku is the ability to check the entire puzzle for mistakes (it could only notify you of duplicate numbers on a region/row). An Android port of Hakim El Hattab’s HTML game of the same name, which in turn is based on an earlier game called Sinuous. 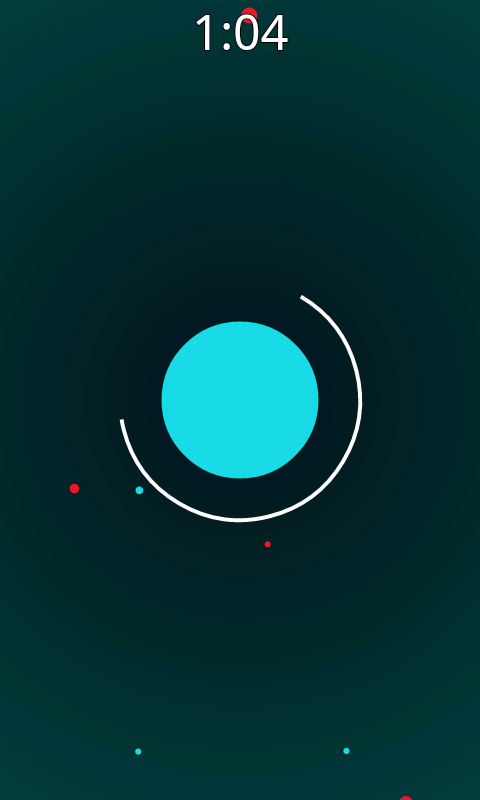 In this game, you should protect a cyan dot on the middle of the screen from the oncoming tiny red dots, which makes it got smaller until it disappeared. The center dot has a white shield around it, which you can use to repel red dots. You can rotate the shield by making circles on the screen. Oncoming cyan dots would make the center dot bigger, while blue dots would form a barrier around it for a short time. 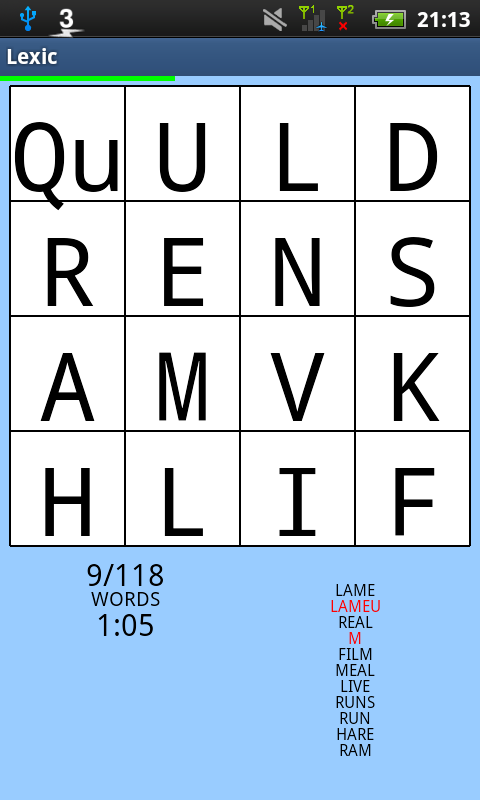 Lexic is a word game where you should create as many words as you can in x minutes (the default is 3 minutes) from a grid of letters, by connecting neighboring letters. You can move horizontally, vertically, and diagonally, but you can only choose letters directly next to you. Lexic has two dictionaries to use: American and British English, with more than 77.000 words. It used to have an online mode, but was removed due to lack of users. That’s all for now. Those are not the only games I like and enjoy playing on Android. I’m currently playing OpenSudoku and Shortyz, a great crossword app. The next article would be my first Linux app review. Thanks! I know I’m not the only one who don’t like ‘flashy’ games. You must’ve loved Simon Tatham’s Puzzles.